Facebook has done a major corporate reorganization in an effort to be more nimble, sources said. The new structure integrates design, product and engineering teams around key product areas such as privacy and communication. A memo about the reorg was sent out at the company today. A representative for Facebook declined to comment. The young company, led by CEO Mark Zuckerberg, had many management shake-ups in its early years, but recently it has been fairly stable at the top. 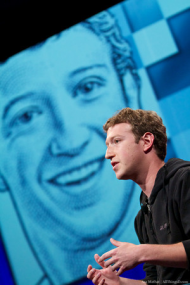 However, Facebook faces increased competition and scrutiny, as well as a looming expected IPO. You have to see the parallel with what Larry Page did at Google earlier this year, shortly after retaking the reins as CEO. Page created seven integrated product areas from what had previously been separate engineering and product management groups: Chrome, social, Android, YouTube, knowledge, ads and commerce, and local.